Amanda’s parents were visiting and we filled our time doing great activities. 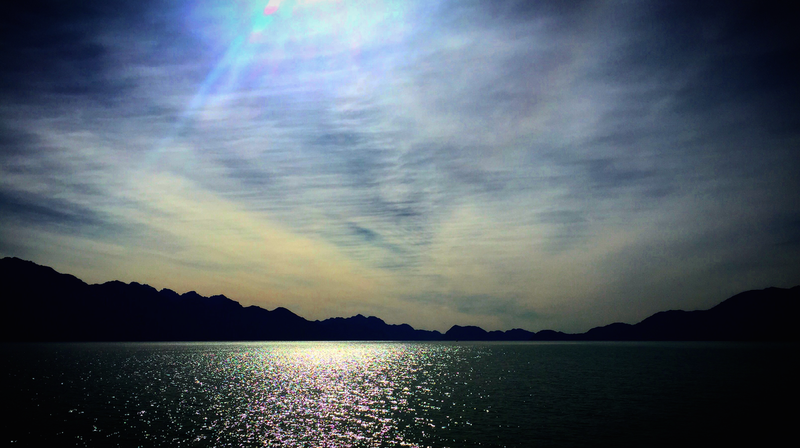 Visiting Seward was one of the first things to do. We lucked out and left Anchorage on a beautiful sunny day. With minimal clouds and wind, we hoped that the weather would stay this way all day. Headed south, the views of Turnagain Arm were fantastic. We arrived in Seward and puttered around town waiting for our ship to sail. When we left the dock we flipped through our brochure hoping to see some animals from the boat. 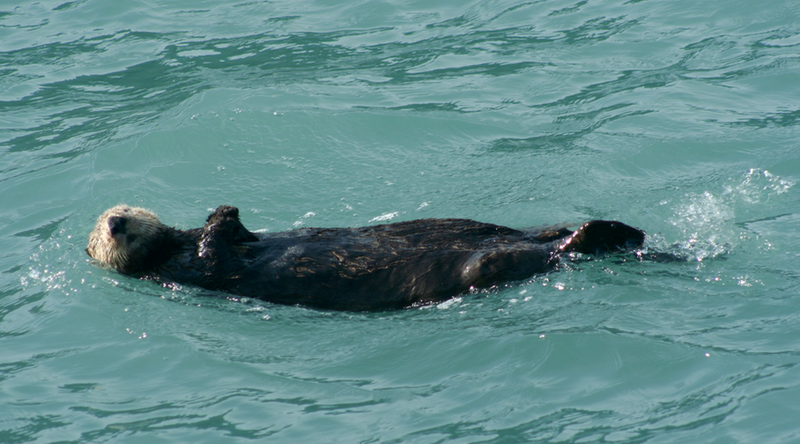 Before we left the harbor, we were excited to see a few sea otters. We were surprised to see lots of Humpback whales so close to our boat. There was even one breaching which was typical in Hawai’i, but pretty rare here. 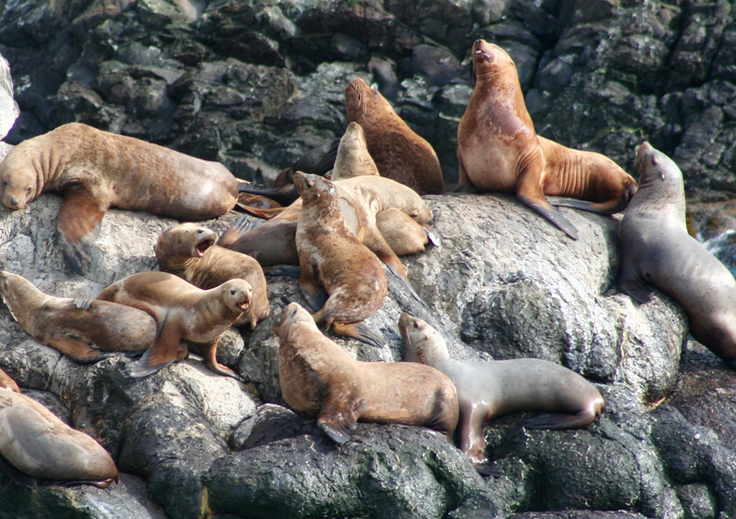 There were lots of Stellar Sea Lions hauled out on the rocks which was very interesting. 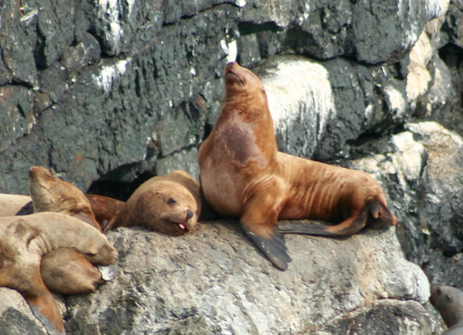 There were mothers feeding their babies and even one showboater sticking out its tongue. 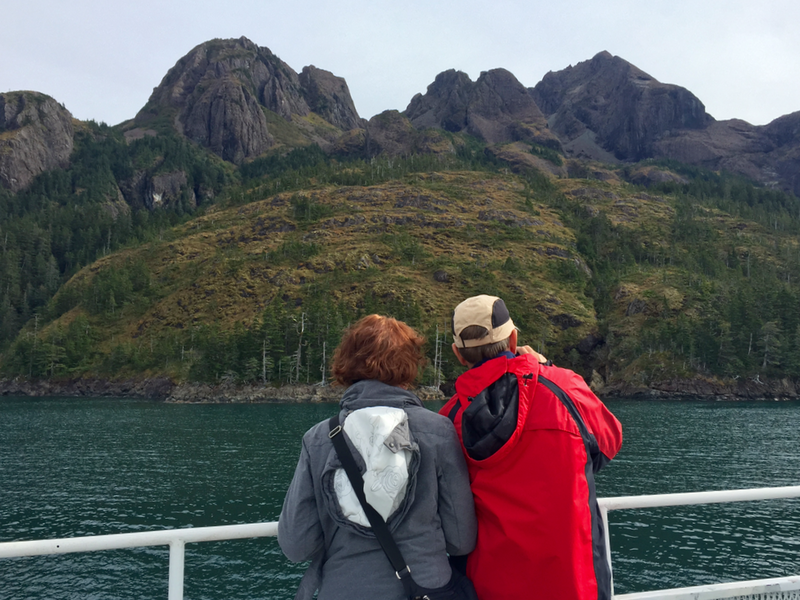 We saw bald eagles, coastal mountain goats, and lots of glaciers. We spent most of the trip pressed against the railings on the side of the boat. The weather was great the whole time. 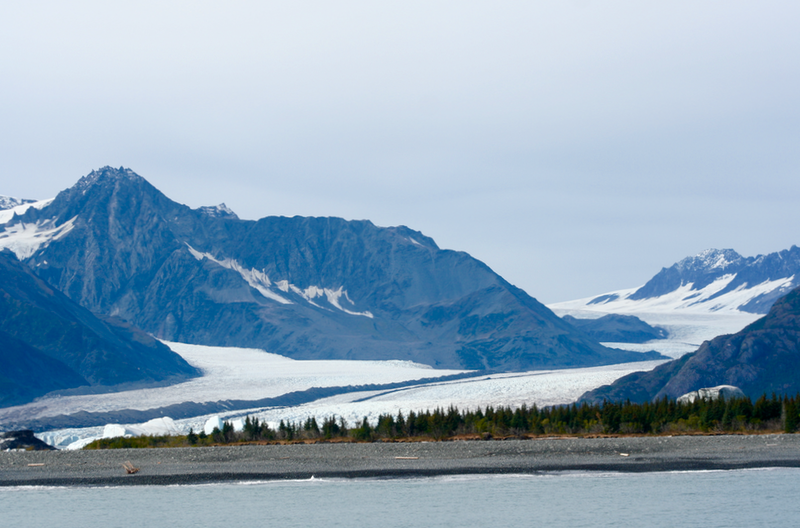 There were glaciers and icebergs that were tough to imagine the size. They seemed small, but as we got closer and closer, they got more and more enormous. After the boat trip, we needed just a little more adventure. 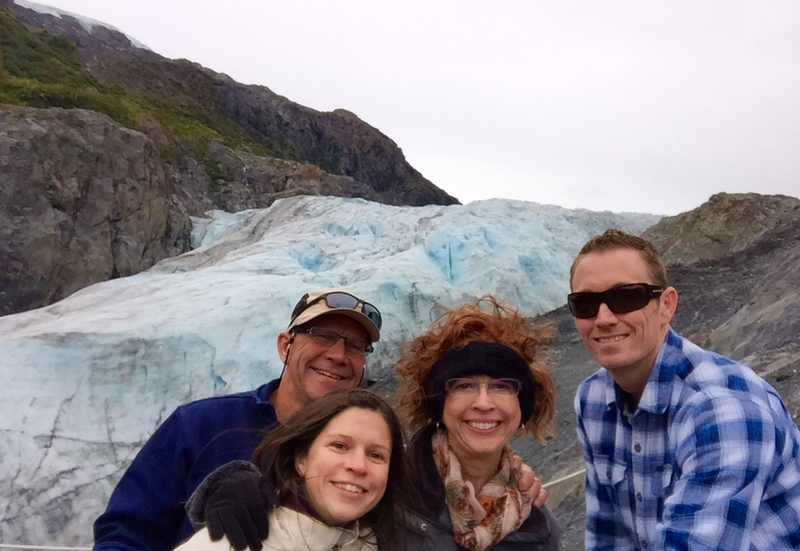 We headed to Exit Glacier to look for Obama’s footprints. 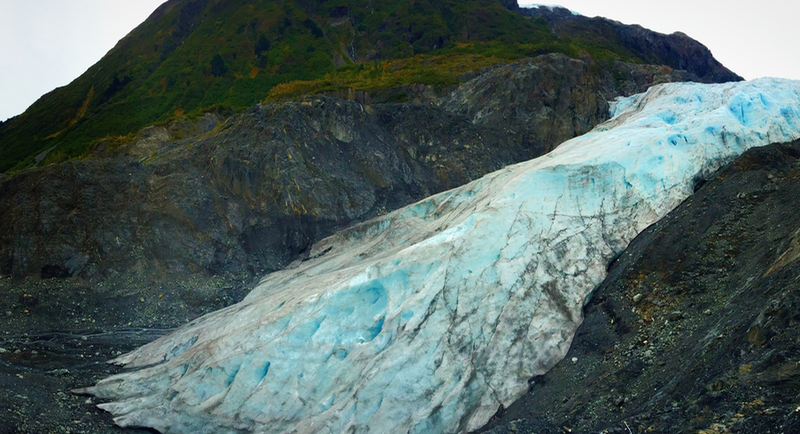 We didn’t see any, but the glacier was beautiful. Until next time. Thanks for reading. 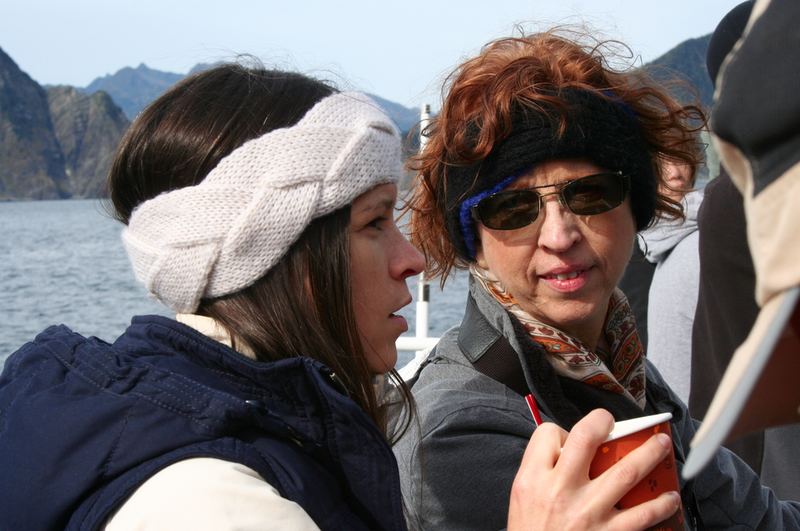 This entry was posted in seals, seward, travel and tagged adventure, Alaska, Amanda, boat by Rory. Bookmark the permalink.